What is the purpose of the double sided bench? For larger seating accommodations in changing rooms and other workplace areas, the double sided bench provides a great product to have for workers that need to have a place to sit while changing. The double sided bench is developed to be a much more versatile seating tool than the single sided bench and allows for more people to have a sitting space. 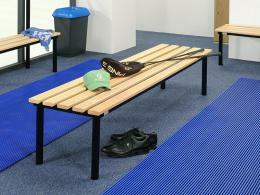 It is designed to fit changing rooms and other areas that afford central seating. Where can the double sided bench be used? Although it is a common sight in a lot of seating rooms, the double sided bench is a useful item in many other areas. Public pools can also use the double sided bench as an addition to their changing rooms to allow a space for swimmers to put on their shoes after a set. Football fields can also use the double sided bench as a place for players to temporarily sit when they're having a pre-game or post-game meeting so that everyone is included. Who might use the double sided bench? 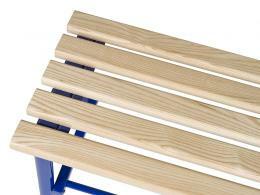 Sports teams of various league calibres can utilise the double sided bench as a way to foster camaraderie within their team in the dressing rooms. In addition to being effective changing room benches, the double sided bench can also be used in outdoor applications where it can serve as a temporary stand in some cases, giving you a flat surface to work on or to simply rest equipment on when not in use. This simple product can be a cost effective seating addition to a variety of environments, such as staff room benches, changing room benches, and cloakroom benches. 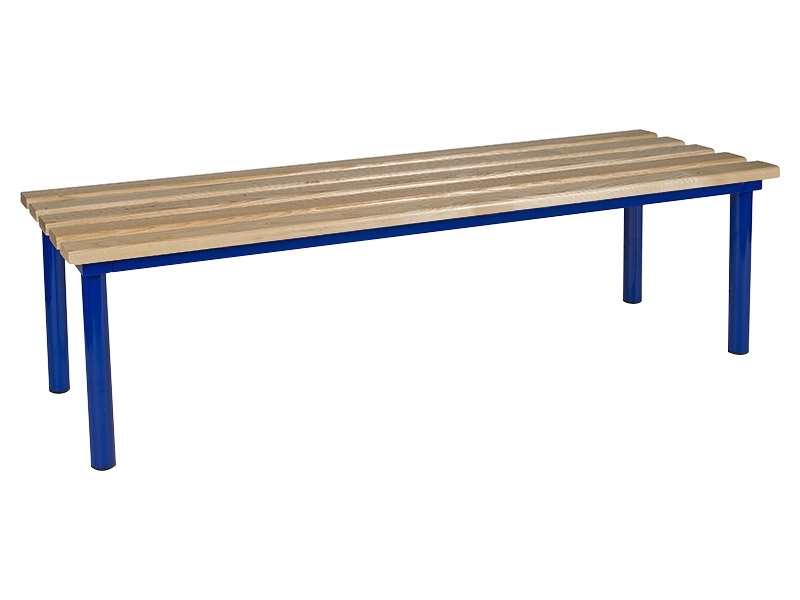 The double sided bench is made of durable ash hardwood construction for a more durable bench. The freestanding bench doesn't require any additional accessories, but comes with optional mesh shoe rack for temporary storage of implements for players or gym users. The double sided bench provides a stable surface for whatever use you can think of. Both inside and outside gyms, the double sided bench gives you a bench that can stand up to a lot of abuse. 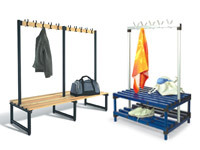 There are a variety of products in our Lockers and Benches range that can compliment the double sided bench to kit out an entire changing room at minimal cost.